Swasha Fernando, Rebecca Surenthiraraj and Atarah Senn represented the Department of English as exchange students at the University of Giessen, Germany in 2015. 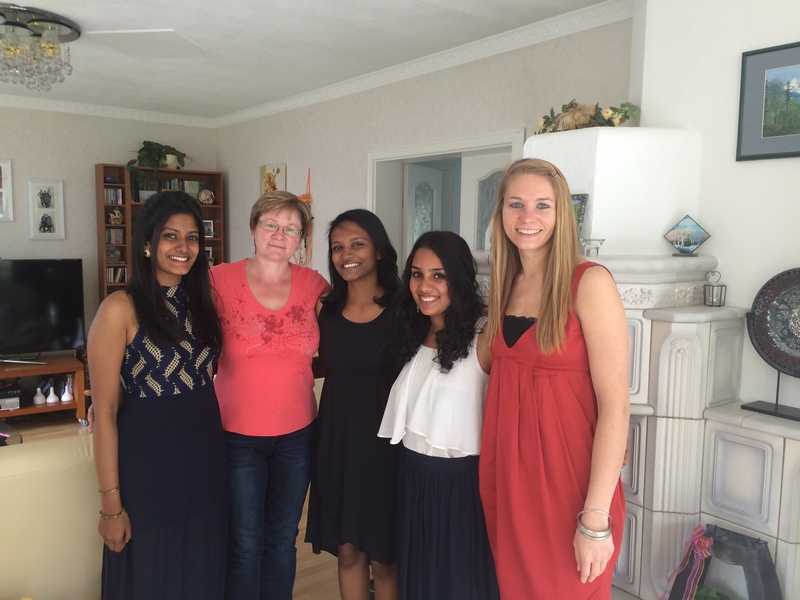 They spent the summer semester studying courses in Literature, Linguistics and Cultural Studies, and also worked on the International Corpus of English – Sri Lanka joint research project as student assistants. “It has been an amazing experience being at JLU Giessen. Adjusting to a new cultural context, meeting other students from many countries across the globe and living and traveling alone has been more educational than we expected. Academically too it is quite a different experience, and we believe that the semester we spend in Giessen will broaden our knowledge base as well as improve our understanding of our particular field/s of study. We are grateful to the Department of English for the opportunity and we hope to exploit it!” – Swasha Fernando, Rebecca Surenthiraraj and Atarah Senn. Corpora, Archives & Performance: Sri Lankan Languages and Literature : 14-15 Nov. Copyright © 2019 Department of English, University of Colombo. All rights reserved.